Oh my… that is the million dollar question, right? Comparing apples to apples is pretty easy. Are there bruises? We will put that one back in the pile. Are there other varieties that we prefer? Are their other varieties that we like just as much that are on sale? Are we baking with the apple or is this just a nice mid-morning snack? Is it organic or maybe you prefer it comes from a local farm and that’s what triggers your decision to purchase. Altogether, even buying an apple can be involve a checklist of considerations. If you think about what you go through in your mind with almost every purchase you make, from groceries to new shoes, you will begin to see a pattern. What we all want, whether we are spending under a dollar or thousands of dollars, is a sense of satisfaction. We want to feel rewarded by our purchases. Everyone goes through three stages to get to that reward. First is Awareness, then Consideration, and finally a Decision is reached. It can be a journey filled with many twists and turns. The more you understand the Buyer’s Journey, and really learn the nuances of the three stages, the more you can help provide a clear path to a “yes” and end up with a happy and rewarded buyer. The awareness stage sets the whole plan into motion. Awareness can be prompted by an idea or by a situation. An idea might develop at any time. You see an ad for a new something or other. You think it’s interesting and you file it away. The next time you see that commercial (or the 6th or 12th time! ), you decide to google the product or head to the store to check it out. You have just entered the second stage, Consideration. In this example the Awareness grew and grew. It happened over time with repeated exposure, but it happened. Scarcity and rare offers trigger deep emotions. In fact, I have a limited-time offer at the end of this article! So here’s a banner that says “Big Sale!” and your brain lights up. It actually does light up in brain scans. It’s a primitive and almost automatic reflex from our hunter/gatherer roots and instincts. We see the fruit on the tree is ripe and we want as much of it as possible before the fruit disappears. Fear of loss of losing out is a big motivator! Stage two, Consideration, can be a land-mine of emotions and confusion and lead to a “fight or flight” scenario. First off, the vast majority of shoppers resist spending money. It’s another instinct we have in common. We have a recording playing in the background that keeps telling us not to spend. One of the first things we do is determine if this is really something we need or is it just something we desire. Once we label it a need, we can proceed with less consideration about the money we are spending. But if it’s just something we desire, then we have a bigger battle going forward. If you know that what you sell is pretty much 100% a purchase from a desire to own and not a need, you have a challenge. The buyer will need to find a “rationale” for the purchase. It can be as simple as they “deserve it”, but something has to stand up to the “don’t spend money” mantra. I am reminded of that concept whenever I am looking at something that I don’t really “need”, but still really want. As I get older, am trying to let more of my Father’s philosophy into my life. But it’s hard. It’s hard for your buyers, too. What must be considered by your buyers? Get out a piece of paper and get your head into the game. What are the common questions, concerns, needs, reassurances, and purchasing worries that you know you need to address. What was your path to a decision like for your last “important” decision. It can be anything from a fashion item, to a new computer, but you went through a process to get to a decision. Even if it was a “no” in the end, you went through a checklist of some kind. And what can you do to create a sense of urgency? Think! Aside from some “today only” fake price break/ultimatum which is a used-car tactic that doesn’t belong in art sales, what can you say to give their consideration a boost of importance and urgency? By the way, my Father had another saying that I live by: You can go broke saving money. For me, I know that a sale is not the only reason to make a purchase. Don’t expect to just lower your prices and make more sales. Most people have many other things to consider beyond the price tag. People want value and that’s hard to project in pricing alone. In fact, a low price might hurt the “perceived” value. It’s sometimes better to raise a price to help with the value equation. Cheap might make them question the value. What is the checklist that your buyers might have in order to give full Consideration towards a purchase? Next, compare that checklist to your sales and marketing. Online or offline, they need your help to get to the point of making a decision. And I know that you know what they need to know to get to the point of a decision. I really believe that you know much more than you realize. They may decide to buy or not to buy, but helping them get all the information they need to make a truly “informed” decision is your number one job. 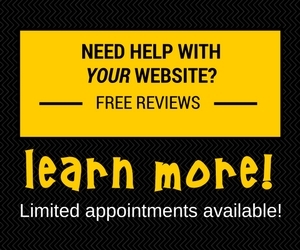 Again, whether it’s on your website, or in person, or over the phone, they have questions and you need to make sure you are giving them answers. As disappointing as it might be in the moment, a “no” can be a wonderful moment and should be savored and treated as a great opportunity. 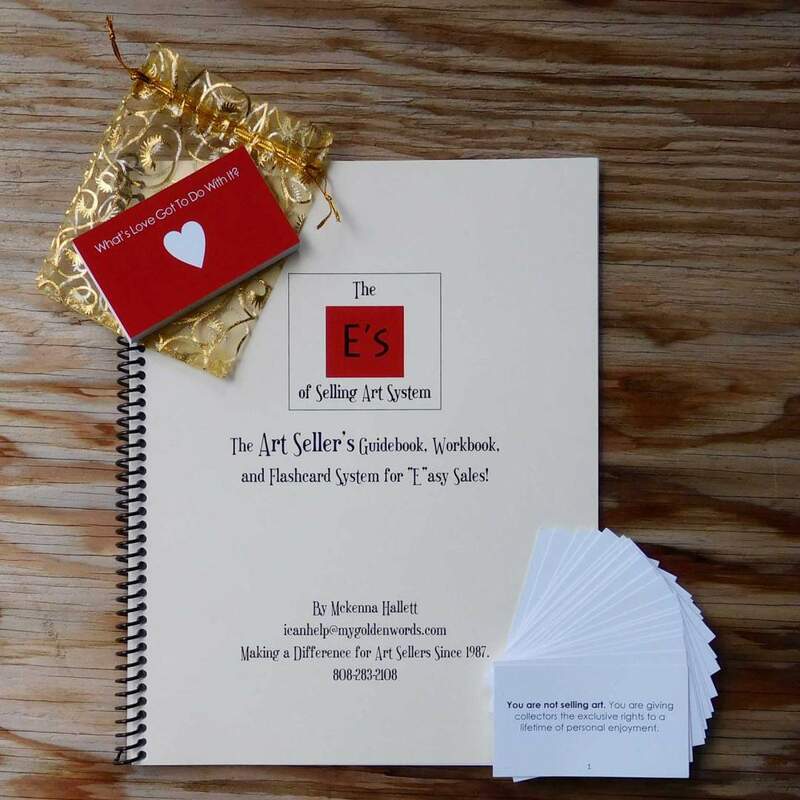 To get the best out of that opportunity, I direct you to my fabulous “E’s of Selling Art System” guidebook to learn more about what to do to keep a buyer engaged and considering a purchase of some kind some day. A “no” today will very likely be a “yes” someday if you handle things properly. Look at the Departure List at the back of the book. Somewhere in those 13 steps you will find the path to a successful long-term relationship. Need to do some “Considering”? Here’s a page that should answer every question possible! Before you go, please help others by sharing what challenges you have overcome. 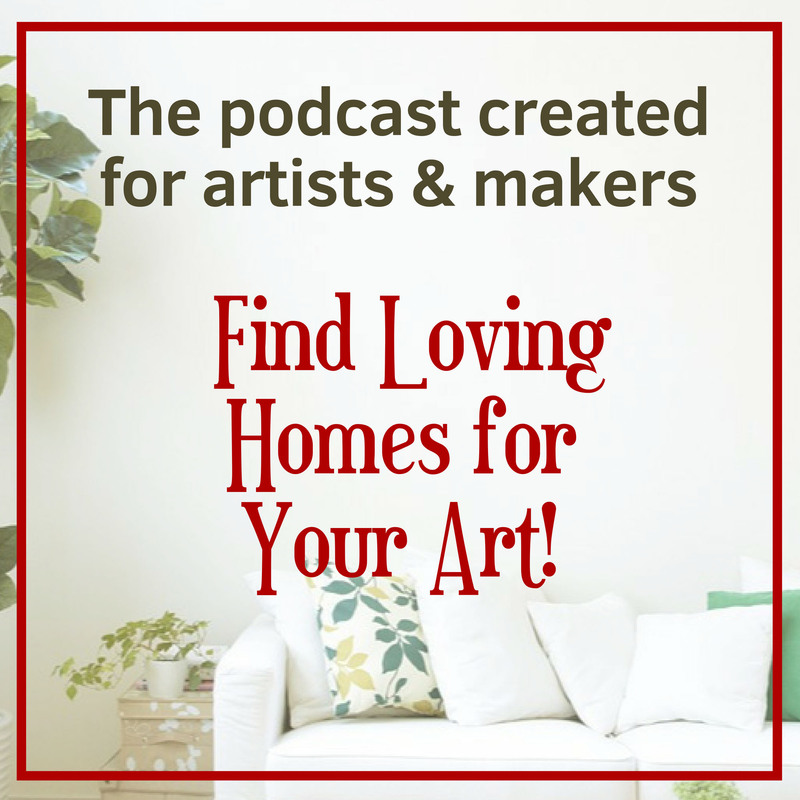 What have you done to bring reassurances to buyers and to motivate visitors to your website or at art shows to consider buying your work? 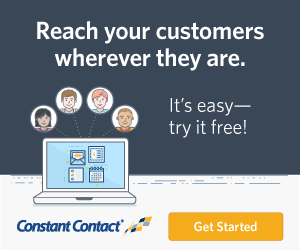 What a beautiful and thoughtful approach to help overcome buyer’s reluctance. This is everyone’s reality and you show a humane way for us to help overcome the hurdle. Many thanks and so appreciated! Thanks so much for your kind words, Greta! If we just put ourselves into the buying scenarios that we experience, we can certainly learn how to help others through the process. Well… Rebecca! As always, you bring up some excellent points. Effusive or not, they still might need to hear a variety of “empathic” and “enthusiastic” words and feel the depth of your passion to help them find the right piece. As for asking outright? As you alluded, it can be intrusive, BUT – not likely if you have followed the Five E’s pathway of engaging them. The trust you build is hard to lose by a simple questions like, “what’s still a concern” or “do you know what is keeping you from indulging in this piece” and other lovingly presented questions. The bottom line is that your overall presentation should be structured (“Intentional Sharing” as discussed in the guidebook) to eventually overcome any worries or objections. That mean knowing what those are in the first place, of course. But just paying attention to their body language will help, too. Do they move away or towards you when you are talking? Do you have solid eye contact? 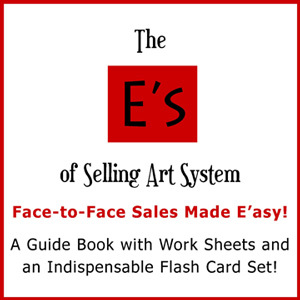 And so on… it’s a big learning curve for all of us, but with time and application of the E’s of Selling Art System, you eventually don’t even need to think about what or how or when to say anything. It’s the key to becoming fully present and authentic. Thanks for that – more handy questions to add to my store (I know, don’t use them by rote!) I’ve been selling my art for two decades now but I’m afraid I’ve still got a long way to go before these interactions become as natural as you describe. Possibly some people are naturally better at it than others. I find I have to really concentrate on being “present” and responsive to a customer’s needs and body language. Otherwise, I drift back to my pre E’s of Selling state where I’m talking about myself and my process too much! LOL! Just imagine yourself recommending a fav restaurant… that helps. I would guess that is “natural” feeling, right? But the best route is just leaving it to them to tell you about themselves and what they enjoy and what matters to them. That will usually lead to a fairly easy exchange. The reference to recommending a favorite restaurant is a wonderful comparison to encouraging an art purchase. I will be keeping that thought in my mind for the next prospective sale. Indeed! When we are sure that we are sharing a good experience, we are not shy about trying to get others to imbibe! Your art is a very good experience!